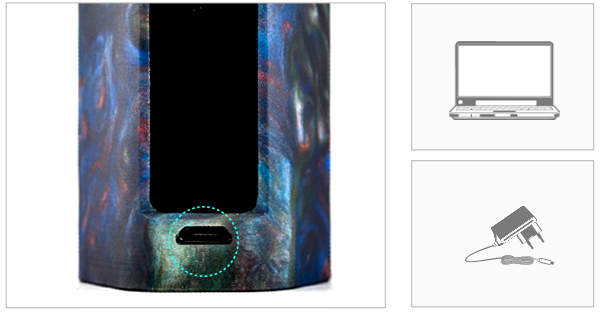 * Every resin style RXmini Resin has its own unique psychedelic pattern. We could not guarantee the product has the same pattern and color as that in pictures. We can only ship orders randomly. Hope you can understand. 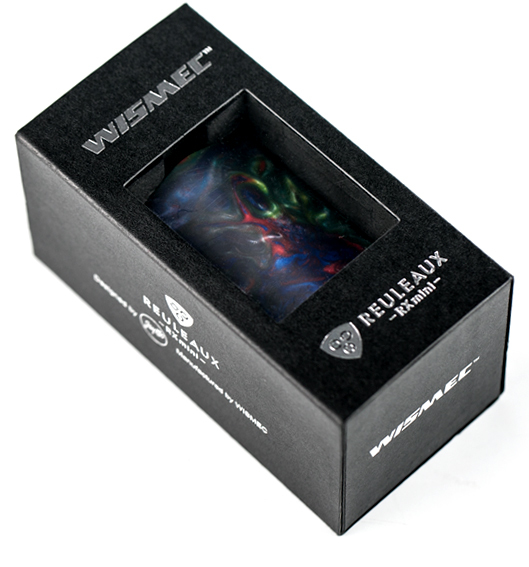 The new RESIN style Reuleaux RXmini comes with a resin texture of light weight and comfortable hand feel. Differing from the unique psychedelic patterns, RXmini RESIN impresses us with its exquisite process and compact size. Powered by 2100mAh built-in battery, 80W max output and upgradeable firmware will bring you unexpected vaping enjoyment. 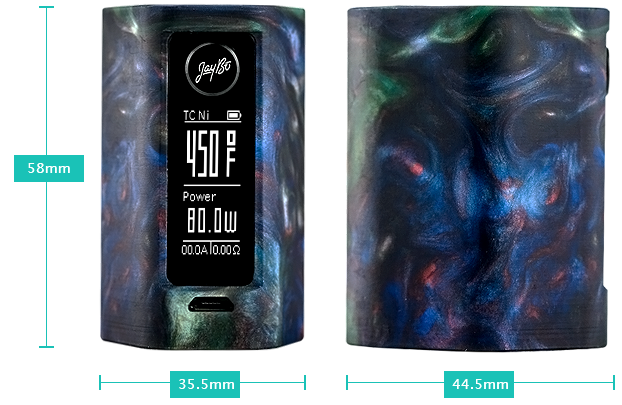 The new RESIN style Reuleaux RXmini comes with a resin texture which is durable and lightweight. Featuring the compact size, it is easy to hold and carry. Reuleaux RXmini RESIN is endowed with fashionable style. The unique psychedelic patterns of each one makes it stand out from other mods. Powered by 2100mAh built-in battery, the output can reach 80W. And the switchable VW, Bypass, TC-Ni, TC-Ti, TC-SS and TCR mode will bring you satisfying vaping experience. Two sets of circuit protection system are applied, realizing the overall protection of over-charging, over-current and over-discharging. 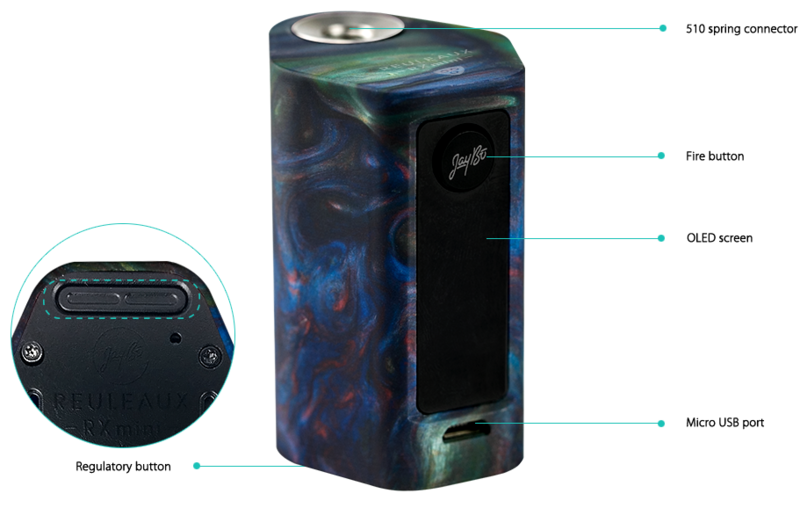 Coming with the upgradeable firmware, Reuleaux RXmini RESIN makes custom logo and preheat function available. Simply charge Reuleaux RXmini RESIN by connecting it with a computer or a wall adapter via USB cable.